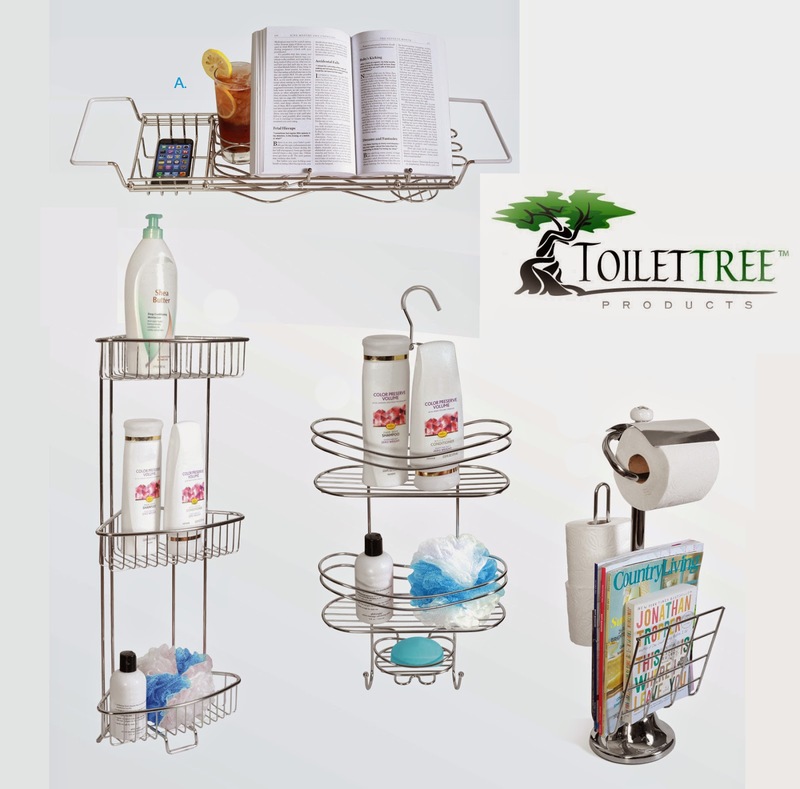 ToiletTree has some great Stainless Steel Accessories to help organize your bathroom! I got the Stainless Steel Bathtub Caddy with extending sides and book holder. 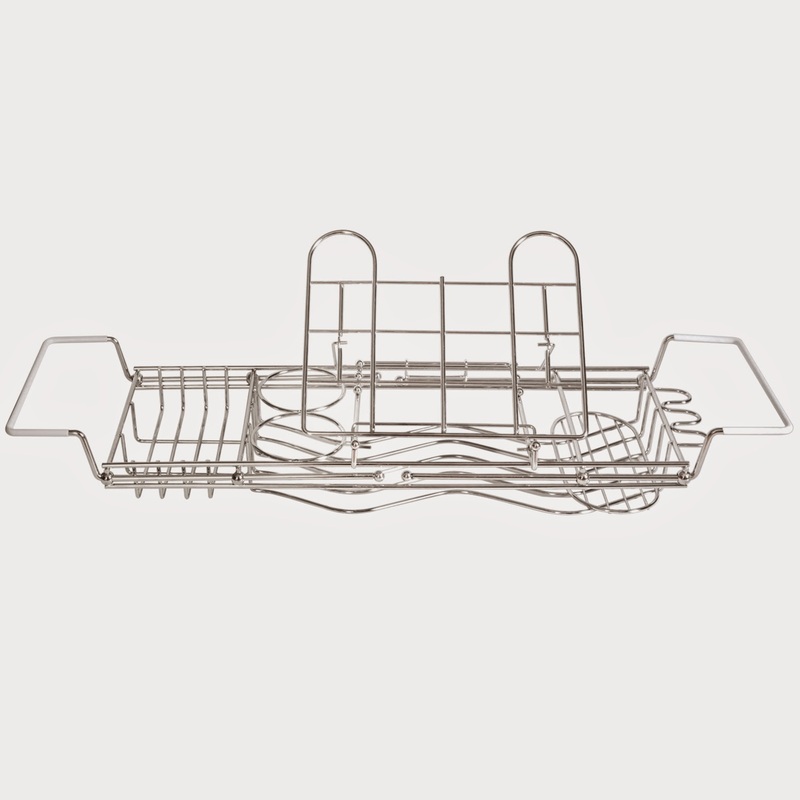 With this bath caddy, you can have the most enjoyable and relaxing bathing experience. When closed, this bath caddy is 26.5 inches long. When fully extended, it is 38 inches long. The arms are coated in a rubber material which will help your caddy from sliding around on the edge of your tub. Conveniently hold your cell phone or cordless phone in the side compartments. In the middle of the caddy, you will find an adjustable book/iPad/tablet holder. There is also a spot to hold 2 drinks. Great way to gather all your belongings and enjoy a nice bubble bath! I rarely take baths because it's so hard to read or do anything in the bath. With this caddy, I could do just about anything! Awesome!